Inspired by Princess Mononoke, we are currently in Japan working on a expanding the company portfolio and facilitate other Anglo-Japanese collaborations. We are exploring adaptations of diverse source material such as Anime, Manga, video games and science fiction in pursuit of building a theatrical model that encourages new, more diverse audiences to the theatre. Princess Mononoke taught us of the potential of this new audience and of cross-cultural adaptation - we are in pursuit of this potential. As of September 2015, Whole Hog Theatre will be continuing it's research and development in Japan! 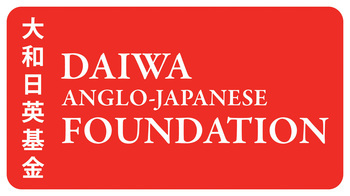 Alex will be on a 19 month Daiwa Scholarship in Tokyo studying Japanese at The Naganuma School, working in Japanese organisations and building on the UK-Japan partnerships initiated with Princess Mononoke to create new Anglo-Japanese collaborative adaptations.